KALKASKA -Seated at her kitchen table, Virginia Thomas confessed she is less trusting than she used to be. Thomas, 75, worked nearly 30 years for the rural northern Michigan Village of Kalkaska, serving as everything from secretary to clerk to co-manager. She also put in four years on the village council and more than six years as mayor. Thomas and other village employees gave up pay raises in exchange for retiree health insurance. But with rumblings about the ability of the village to continue paying those benefits, Thomas and her husband, Duane, 82, are worried. Thomas said she needs a regular asthma shot and other medication that cost about $3,500 a month. “If they cut us out of that prescription coverage, we might end up living on the street. We don't have any way of going out and earning extra money. This village of roughly 2,000 is not much different from small towns across Michigan, which are now grappling with the same, more high-profile challenge faced by larger cities like Detroit: How to fund the health care of retired city workers promised in more prosperous times. “It's an issue for everybody,” said Village Manager Penny Hill. According to a statewide report by Michigan State University on municipal legacy costs, this Kalkaska County village had unfunded retiree debt of $6.4 million in fiscal 2011. Its annual cost was equivalent to 46 percent of the village’s general fund revenue. It also had more than $1.4 million in unfunded pensions. In 2012, the village’s retiree health plan covered 14 members, including six current employees and eight retirees, according to a 2012 financial statement. Retirees do not contribute to its cost. Hill said the benefit was negotiated decades ago in flusher times. Village officials failed to anticipate double-digit increases in the cost of insurance premiums. They likewise failed to foresee the closing or relocation of several manufacturing plants. The fund for paying retiree health care is now empty. Hill said that includes investigating different insurance plans and health care providers as a means of cutting costs. She added that the village is also exploring legal options. To be sure, the biggest chunk of unfunded retiree health-care and pension debt in Michigan resides in large urban centers including Detroit, Flint, Saginaw, Lansing and Grand Rapids. According to the MSU study, nearly $11 billion of unfunded retiree health care debt – 86 percent of the state total of $12.7 billion - was concentrated in 10 southeast Michigan counties. But smaller communities scattered around the state also face significant levels of legacy debt. 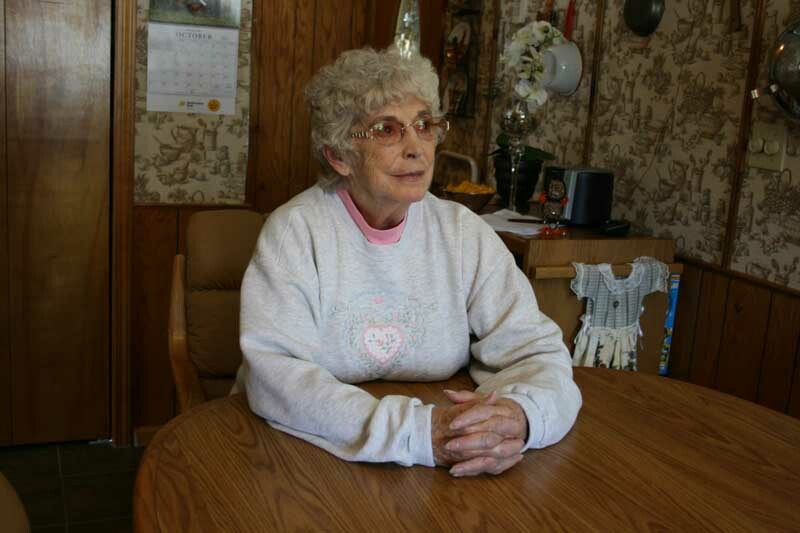 Norton Shores, a relatively prosperous suburb of about 24,000 people in Muskegon County, faced retiree health-care debt of $37 million in 2011, with just 2 percent of it funded, according to the MSU report, amounting to 30 percent of general fund revenue. It had $13 million in unfunded pension debt. In southern Michigan, Sturgis, in St. Joseph County, population 11,000, had retiree health care debt of $17 million. None of it funded. Tucked away in rural southwest Michigan, Bangor seems an unlikely place for unfunded legacy debt concerns. But with a population of less than 2,000, the tiny Van Buren County city had more than $1.8 million in unfunded retiree health care debt in 2011, according to the MSU study. While that doesn't sound like much, its annual retiree health care cost amounted to 30 percent of its general fund. Bangor interim city manager Larry Nielsen said funding that debt is one of many challenges confronting the community. Nielsen noted that, in recent years, the city has cut costs by relegating cemetery maintenance to a private contractor, reducing staff and trimming the police department budget. In recent bargaining, he said, it removed three active employees with retiree health benefits from the plan. It also negotiated an agreement with seven retired employees to switch insurance providers, saving about $11,000 a year. Under the retiree health-care plan, the city funds 100 percent of health care premiums. Ok so we have a person who not only draws benefits from the governmental agency but also had a fiduciary responsibility to ensure that funds would be there to pay her benefits. She has no one to blame but herself. She sat on the council and appears to have done nothing to address the issue because she had a conflict of interest and didn't want to reduce her take of the public pie. Keep in mind that she really is talking about health benefits over and above medicare. She says that she gave up raises to get better health benefits, I seriously doubt that. I would have to see some documentation that shows her acknowledging a below market pay increase for a retirement benefit. She is giving the same sob stories that all people give when the reality of their excessive benefits meets the reality of the ability to pay for those benefits. I am including a survey of about 90 townships in Michigan about benefits for trustees. I am only including the townships that provided benefits to trustees. Question I sent to several townships in Michigan to get a comparison on benefits to trustees. These are the results of the township surveyed Township Clerk I am doing a research project to compare benefits for Township trustees. Please let me know if your trustees receive any health care, pension, life insurance, retirement or other benefits other than their salary or meetings allowance. Thank you. Dale Westrick Township trustee Watertown Township (no health benefits) up to $4,500 a year health benefit reimbursement. Pension plan. Bertrand Township All members of the township board receive health insurance or if the individual does not take the insurance, they receive reimbursement added to their monthly paycheck. Our current premium is $918.76 per person per month. The two trustees’s also receiving pension with an annual contribution of $600.00. The trustees are covered with a life insurance policy. Beaver Creek Township Trustees are eligible for health care but must pay 20%of the premium themselves. Adrian Township (Trustees receive $1.200 a year for health reimbursements) Bangor Township (no health benefits just pension and life insurance) Charleston Township health insurance available but trustees must pay 100% of premiums. I believe that the only obligatiion that a private or government entity should be responsible for is what a person was prommised when they were hired in or elected. Any benifits that were negotiated after that should be able to be renegotiated.